There are many mysteries in life; how were the pyramids built? Why do Krispy Kremes taste so good? What are the 11 spices in KFC…? Now you can add to that list – why is Natalie Williams not a superstar? Seriously it beggars belief. I’ve been waiting 6 years to see Natalie play live. Since I first slipped on her debut album, Lucky Old Sun, heard (James) AnEnglish Garden and I was hooked. Why it took so long I do not know. It’s never worked out and her residency at Ronnie Scott’s is a little too expensive for me. Now, I feel like an idiot for not trying harder. From the moment she casually wondered down the Jazz Cafe stairs in her New Look heels, owning the stage like a giant with bright red hair, I had a feeling it’d be a good night. The music was warm yet edgy. 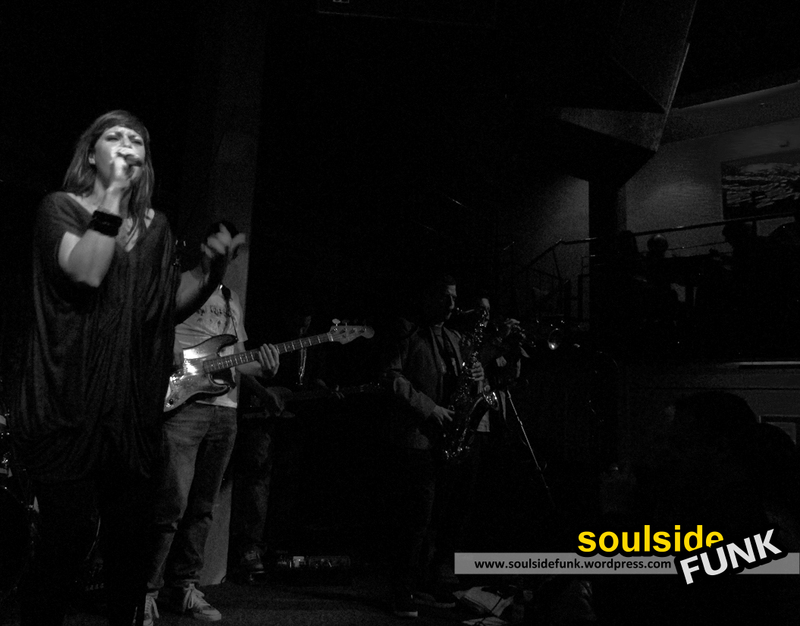 Natalie’s powerful voice leading an unquestionably neo-soul sound. Her set covering all the depth and breadth the genre has to offer. Like strolling in to a musical wine cellar, each song had its own distinct flavour without straying too far. There was the raw explosion of Keep Me Holding On. The empowering ballad Back on Your Feet. The Latin Rhumba of Wherever You Go. Or the tasty playful funk Stuck In The Middle. Natalie and her band were on form. This is no surprise though as any band with the treasure that is Vula on backing has gotta be worth its vintage. They seemed to be really enjoying their craft; supremely talented yet humble. Nearly all of them it seemed has written on of the songs on created a unique arrangement. There were two moments however when Natalie stretched her classic wine in to timeless vintage. The first was on a song called One Minute, a warm, mid-tempo number I could have listened to all night. One of those classic loves songs, it was a warm winters cuddle by an open fire. The second was a stunning cover of Bjork’s Hyperballad. The band left the stage leaving her and her keys player for a sensational, emotive and chilling love song. I’ve never heard the original, but she owned that record! It’s hard to understand how the original could even be half as good as that. I’ll be checking it out on Spotify later today (and probably then eating my words for lunch). Dipping in to the old album for This Girl and Butterfly was nice, although the new material could easily hold its own. It’s a bit of a shame she didn’t dig even further in to the back catalogue. It’s also a real shame more people weren’t there to hear one of the best performances I’ve heard there all year. Natalie was nominated for a MOBO last week. She didn’t win – which is probably a good thing because “that would be embarrassing” (her words not mine). Natalie Williams will probably never become a household name. It’s ok though because in my eyes she’s a superstar, and further proof the British soul scene is more than capable of taking on their counterparts over the pond. 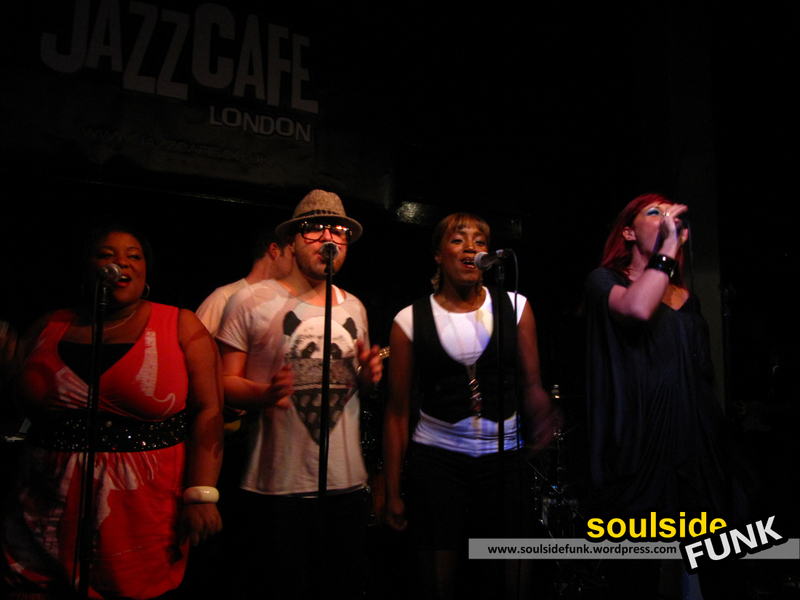 Posted in Gig Photos, Gig ReviewsTagged British Soul, Camden, Concert, Gig, Jazz Cafe, London, Music, My Oh My, Natalie Williams, Neo-Soul, R&B, Secret Garden, Soul, VulaBookmark the permalink.